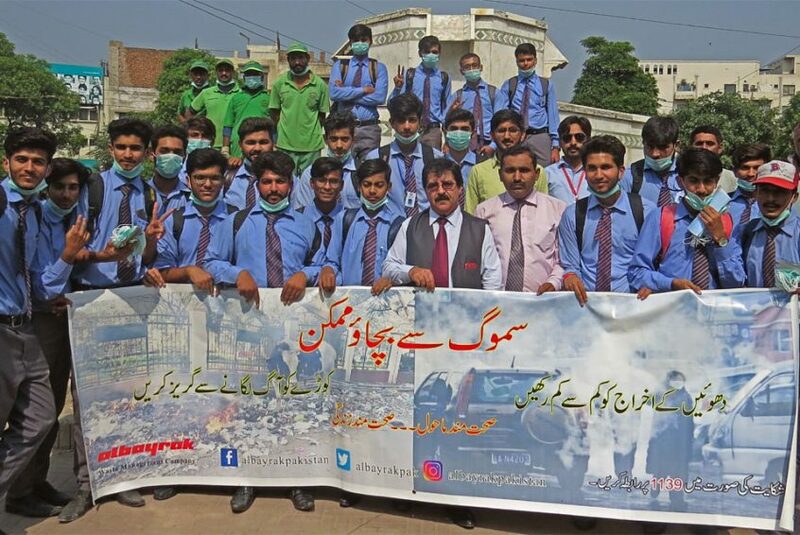 Lahore: To sensitize the general public about smog threat and its harmful effects on human life, Albayrak Waste Management engaged the students of Superior University in its smog awareness drive at Main Market, Gulberg on Thursday. Albayrak team led by General Manager Operations Osman Nuri briefed the citizens about causes of smog and the preventive measures to preclude the threat. The team established awareness camp where the students distributed face masks among the citizens requesting them to ensure use of masks in the polluted air. Speaking on the event, GM Operations Osman Nuri requested the citizens to avoid waste burning and to refrain from using smoke-emitting vehicles. Later, the participants of the activity planted saplings on Gulberg Main Market round about. An awareness walk was also arranged at the end of the drive.